Now I've done plain braiding and beaded braiding in the same piece. 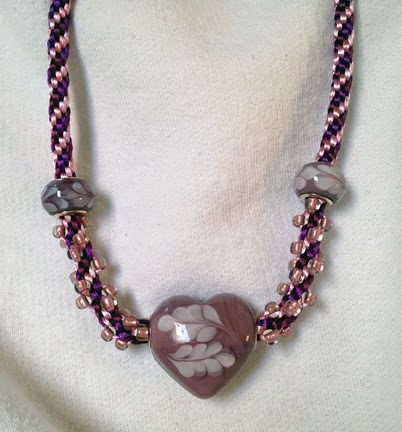 This is an 18" necklace with a l" wide heart focal bead. The braiding was done with 1mm satin rattail so it has some sheen. More projects are in progress. I think I'm liking this.